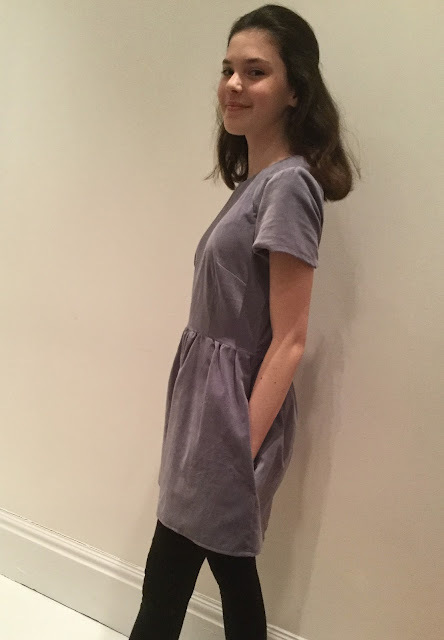 A few weeks ago, Lisa from The Avid Seamstress contacted me and asked if I would like to try one of their patterns, The Day Dress. 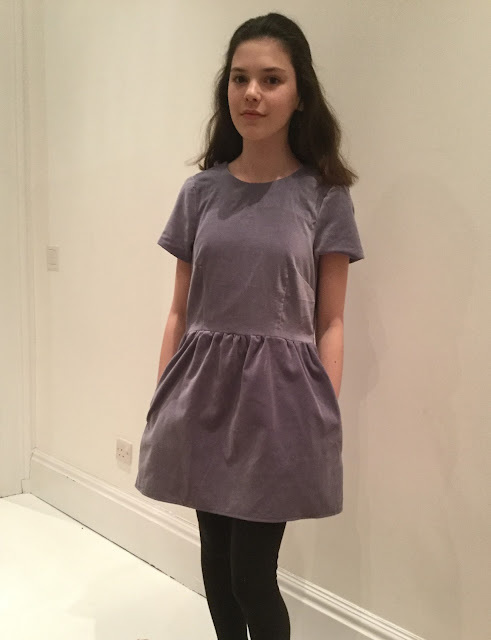 The pattern is a really lovely classic dress with a gathered waist... and pockets! I really love the pockets, they add an extra flavouring which just tops off the dress! I excitedly said yes, and got to work sewing. When it came to choosing the fabric, I thought for a while. 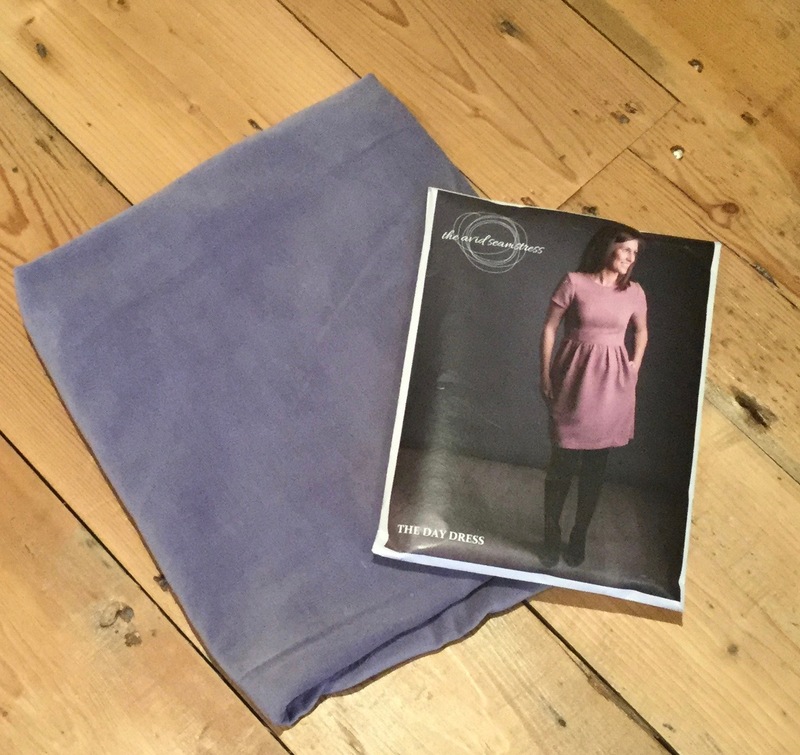 I didn't want to choose a fabric which looked too formal, as I want to be able to wear the dress to lots of different places, dressed up with a cardigan or down with leggings. I went to Fabric Land at first to see if I could find anything nice. I wasn't sure that I would find anything, because I think that there isn't always the right fabric, but if you do look close enough, you can usually find something good. And I did! 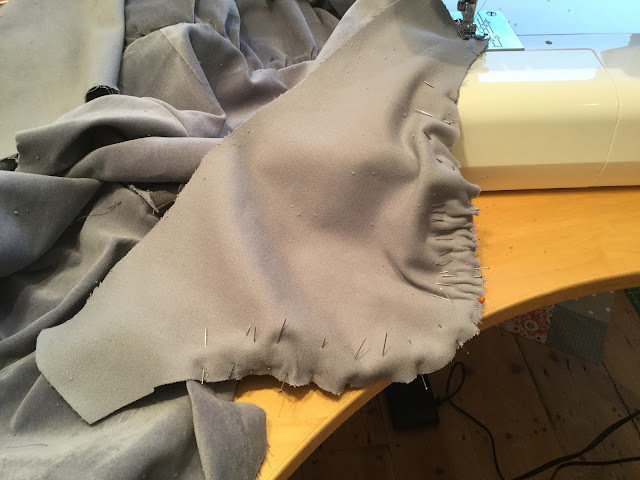 I found this gorgeous blue-grey velvety fabric, heavy enough weight, but not so heavy that it doesn't have enough drape. The construction was fairly simple, as the instructions were really good and clear. Each step has a detailed diagram and instructions. The only thing I had to look up was how to add the elastic into the waist, as it wasn't something that I'd done before. However, there is a youtube video that Lisa made which explained it perfectly. The hardest part was probably the sleeve, just because it took a long time to carfefully ssew round the curve, but I was able to do it with a lot of pins! 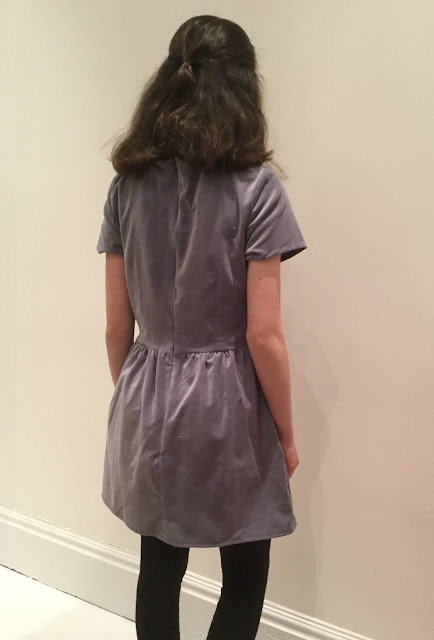 The dress closes with an invsible zip in the back, which is one of my favourite ways of fastening clothes. Even though invisible zips are also one of the hardest fastenings for me, it went in surprisingly well, which I'm really happy about. I also really like the waist darts, at the back and the front. The small features like this come together to create a really elegant shape on the bodice. Overall, I'm really hapy with this dress. I think that the fit on the dress is really good, I didn't make any adjustments to the pattern but it fits well. I'm looking forward to wearing the dress more as Spring approaches. Thank you so much to The Avid Seamstress for sending this pattern to me, I've loved making it. Happy sewing!